This is an abbreviated list of all the recordings on the Tai Hei Shakuhachi web site. The price of CDs manufactured and sold in Japan are significantly higher than recordings made and distributed here in the USA. The average price for Japanese CDs is ¥3150 or, at the current exchange rate, about $27 each. Add to this the shipping cost involved in importing these recordings. For this reason, in the past, I have hesitated to carry a large selection of Japanese CDs. However, by request and popular demand, I have changed this policy, but please don't be shocked by the sticker prices. 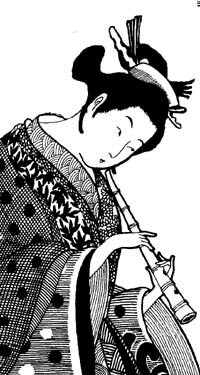 Some Japanese artists represented here are graciously offering their music at a significant discount to accommodate the world shakuhachi community. I have also endeavored to keep pricing in line as much as possible.